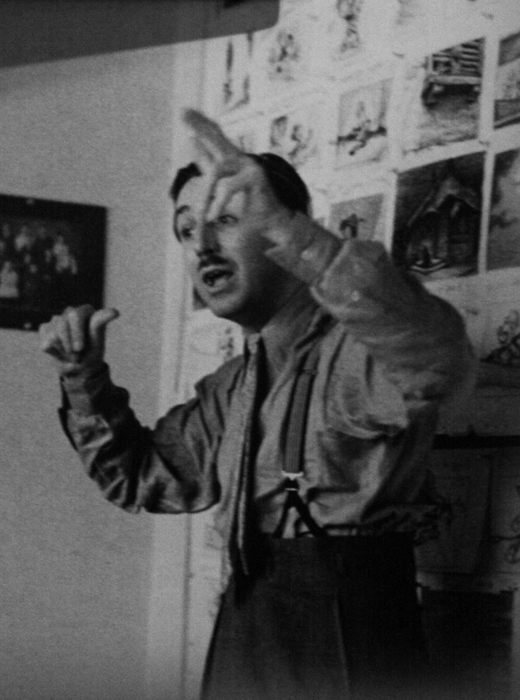 Walt Disney was a story teller. I don’t know that he could have ever imagined how many realms his brand would expand into when he first began drawing cartoons but his brand has continued to be loyal to the storytelling business. I often warn people who have never been to Walt Disney World not to expect ground breaking and record breaking thrill rides. The Disney Company is not in that business. They are in the business of storytelling, even in their parks. Now, they might build some thrilling experiences into their story but thrills will never be the primary focus of an attraction. Not all of the attractions within Disney Parks were inspired by a Disney film. Some attractions were inspired from other films, folklore, or from the history books. A storyline can be found in just about every attraction and f or some, that story begins before you even set foot in the attraction’s queue. In some attractions, like Stitch’s Great Escape, the storyline is laid out for you from beginning to end. Other attractions, like The Haunted Mansion, the story is much more detailed than many guests realize because the story is told through thematic elements from the queue all the way until you exit the gates of the estate. The Imagineers even go to great lengths to build stories into whole area’s of the parks, restaurants, resorts, and gift shops. I have learned many of these stories through other blogs, podcasts, reading books, and through my own curiosity while touring the parks. I love learning and teaching others about all of the details that go into creating my “laughing place” but of all the ways I learn about Walt Disney World, I have found nothing is more satisfying that discovering something on your own. What is even better is watching someone else discover it! I did not want to go into the details of the not-so-obvious storylines at Walt Disney World for a few reasons. One, there are many that I still do not know. Two, a whole blog could be themed after all of the storylines in Walt Disney World. Most importantly, I want you to discover the stories for yourself. Take more time to look around and listen instead of running through the queue. The attraction begins as you approach, not just when you sit down in the ride vehicle. Ask a cast member if you have to. Many will know some of the stories (or a version of them) and will be excited to tell you. Share your favorite storyline at Walt Disney World by commenting below! This entry was posted in Walt Disney World and tagged queue, Walt Disney, Walt Disney World. Bookmark the permalink. I often refer to Disney magic in my blogs. Much of that magic can be found in the details within the stories created by the Imagineers. 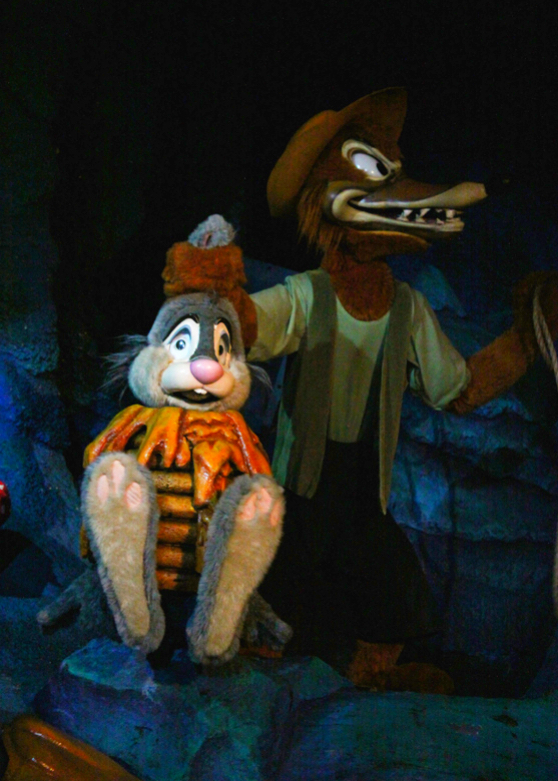 I have ridden splash mountain before but never really bothered to process the story. I knew that Brer Fox and Brer Bear were after Brer Rabbit but I never bothered to actually pay attention to all the ways they tried to catch him and how he eventually got away by luring them convincing them to put him in the briar patch. But this past trip I took my four year old on the ride. I wanted him to love it so much that the drop wouldn’t keep him from wanting to ride it again. So I was pointing out what was going on and explaining what we were seeing so he could follow the story. And I saw and understood the ride like never before! What’s better, he understood it and loved it! I had a similar epiphany about the haunted mansion. I figured out why there are no visible “ghosts” in the beginning. They are all hiding and not showing themselves. Then all of a sudden there are ghosts everywhere. I love Splash Mountain and it does have a great storyline from the queue to the exit. You can hear the storyline in the song alone, which I listen to almost everyday in my car. There are three acts to the attraction which are conveyed very well through the song and through the attraction itself, as you pointed out. Do you believe the reason you see the ghosts when you do in the Haunted Mansion because you have fallen out of the attic window to your death and have taken your place among them, as one of them? The Ghost Host does ask for volunteers and little Leota does reminds you to bring your death certificate next time you come back….